Simple romance inspires the design of the Antique Silver Heart Cuff Ring. Elegant, understated, and easy to wear, this adjustable open cuff ring features a unique scrollwork heart adorning its curved, antique finished surface. 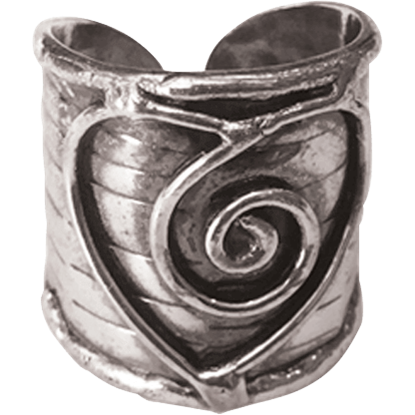 Artistic curves and circling swirls decorate surface of the Antique Silver Swirl Cuff Ring. 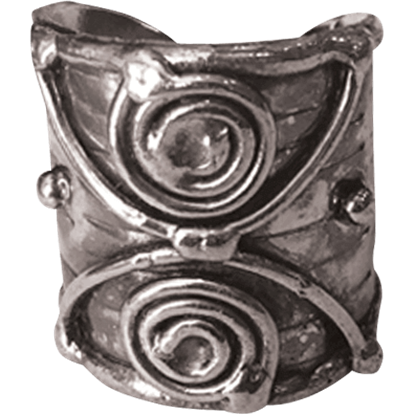 With its antique finish, this silver cuff ring is a statement-making modern jewelry piece with a touch of rustic and fantasy-inspired charm. 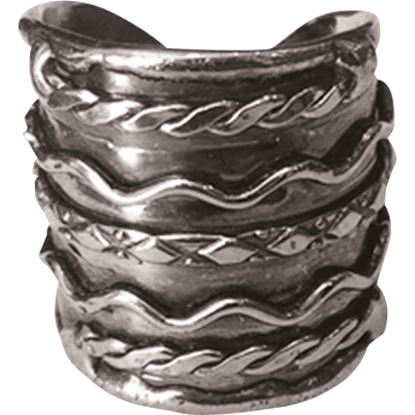 Artistically designed for an appearance reminiscent of ancient and fantasy worlds, the Antique Silver Twists Cuff Ring is a statement-making accessory textured with twists, waves, and braids upon its curved, open back structure. 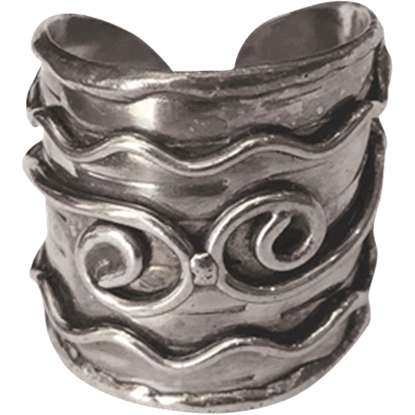 Taking a whimsical approach to ancient style, the Antique Silver Waves Cuff Ring is a statement accessory that suits modern, fantasy, and formal occasions. Its open cuff style lends gentle adjustability to its versatile design. 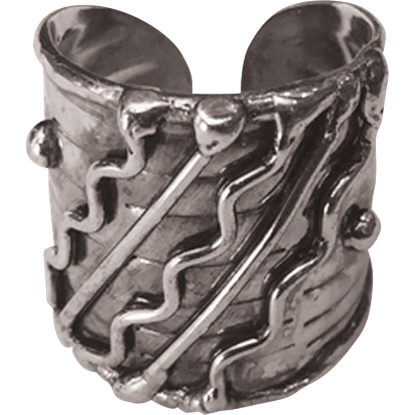 Artisan style with a twist, the Antique Silver Zigzag Cuff Ring is a versatile accessory detailed with playfully alternating wavy and straight lines. 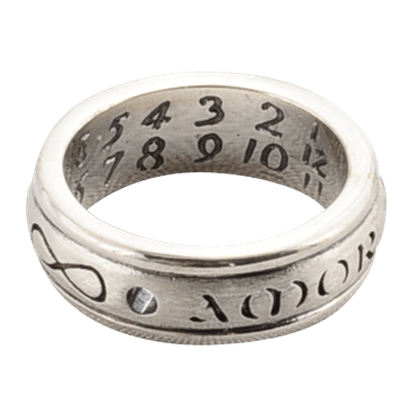 This antiqued silver statement ring brings inspired artistry to everyday style. 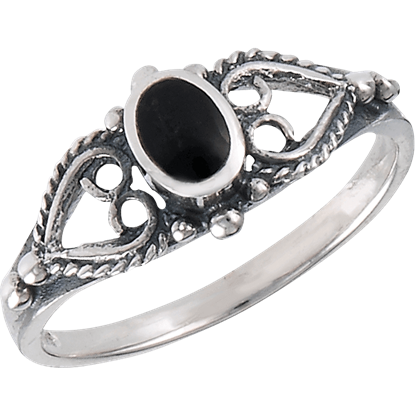 Dramatic and sophisticated, the Black Onyx Marcasite Ring offers a unique and stunning piece to add to your look. 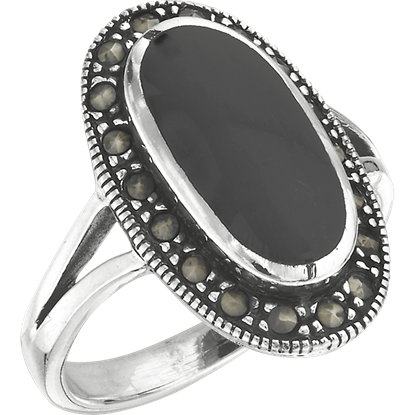 This sterling silver ring features a large, oval onyx stone surrounded by small marcasite elements. 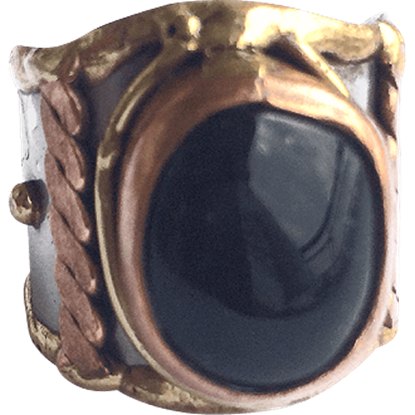 Showing off a smooth agate stone as its central feature, the Braided Dark Agate Cuff Ring serves as a stunning example of a mixed metal ring. This unique piece adds fantastic style to your appearance with its dramatic look. When you need an eye-catching accent for your outfit, check out the gorgeous design of this mixed metal ring! 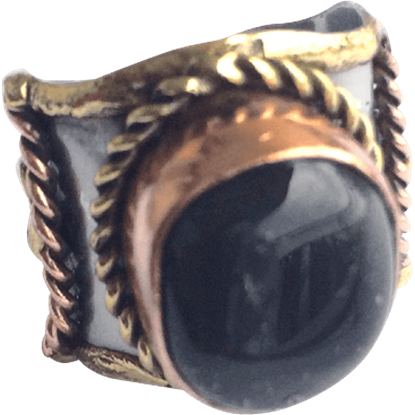 The Brass and Copper Dark Agate Cuff Ring shows off a smooth oval agate stone in the center of its band. With all the beauty of the night sky, this gorgeous mixed metal ring shows off smooth agate set into the design. 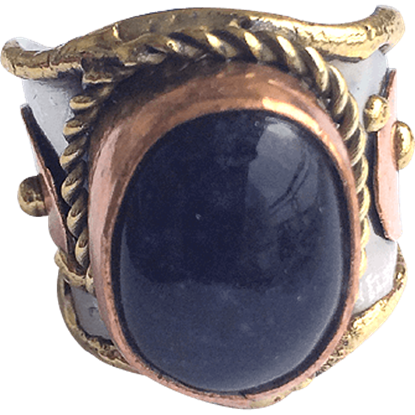 The Brass and Copper Midnight Agate Cuff Ring features intricate details along the sides of the adjustable cuff design. 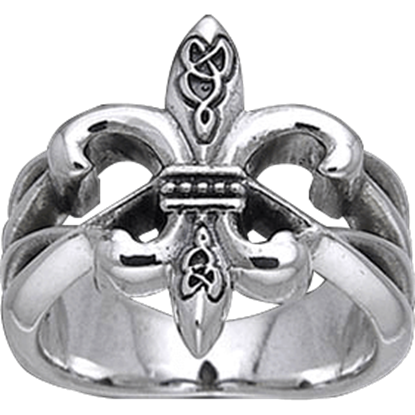 The Fleur De Lis is a stylized lily or iris, historically representing royalty and generally associated with the French monarchy, though it is also used for other purposes. This extraordinary creation is a marvel of detail. Elegant and sophisticated, the design of the Classic Onyx Scrollwork Ring brings together the beauty of precious stones and traditional motifs to create a stunning accessory perfect for outfits ranging from medieval to modern.